Description: Here is a simple stationery flash card example. 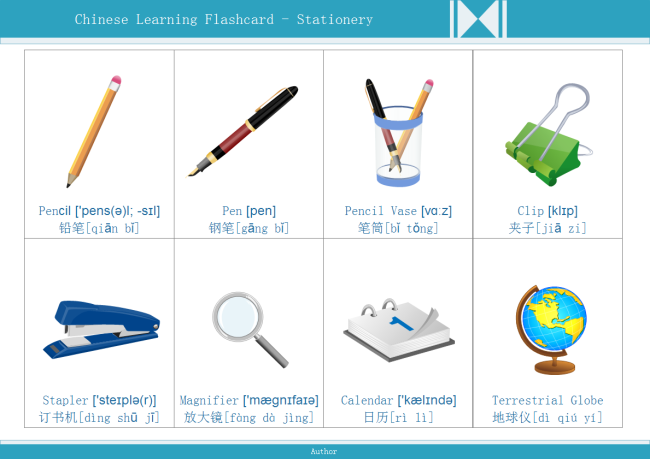 With both English phonetics and Pinyin, users can learn stationery vocabulary easily. Created by Edraw Max, it is available in different formats.